To make our life easier, this indicator will draw 2 lines (Vertical - Horizontal) acting like normal crosshair with extra bars information. Added: Option to disable the tooltip. 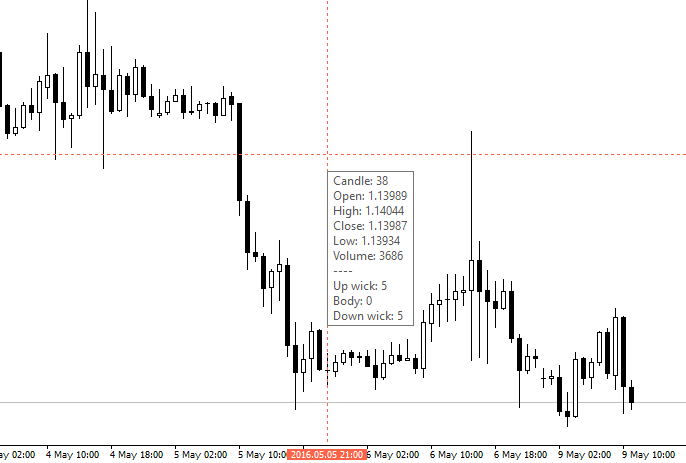 Added: a new Comment on the chart will display (Bar number / Pips range / Price) calculation. 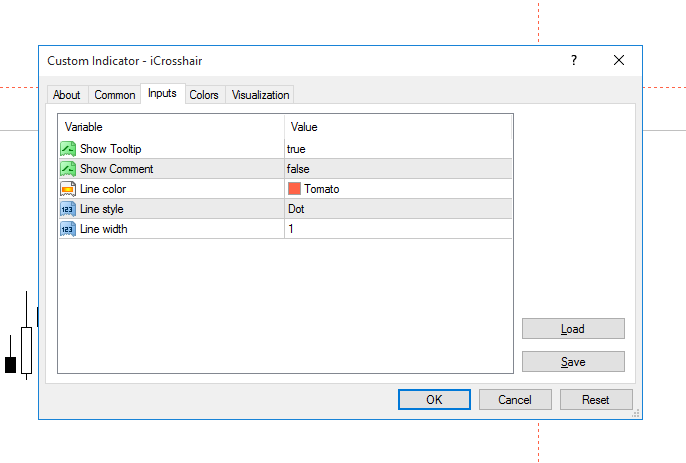 Just like how the default crosshair calculates these values but in different way because I couldn't simulate it.